The Wall Is Rotated To Connect The Joints. 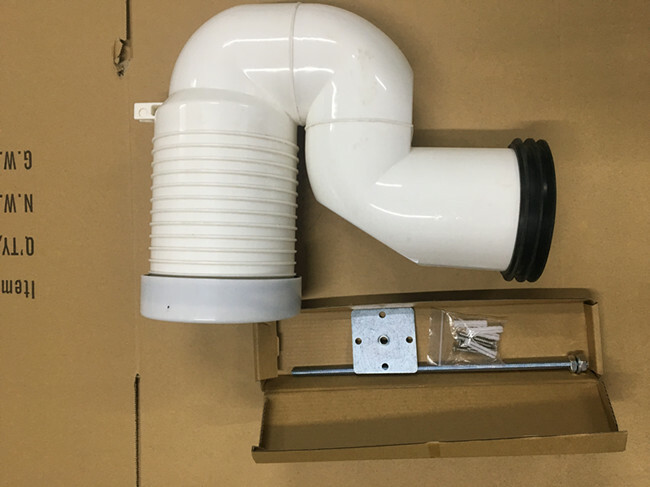 Toilet install fittings blowdown pipe, PP material drain pipe, toilet blowdown welded pipe. Application area of drain pipe: water conservancy project: used for water supply pipe and irrigation pipe. Municipal engineering: used as a burial ground rainwater, sewage pipe. Construction projects: rain water pipes, underground sewage pipes, ventilation pipes, etc. 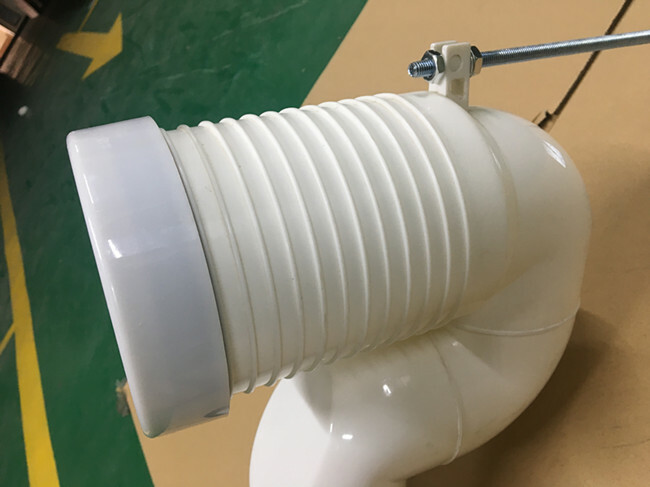 Communication engineering: used as communication cable and cable protection pipe. 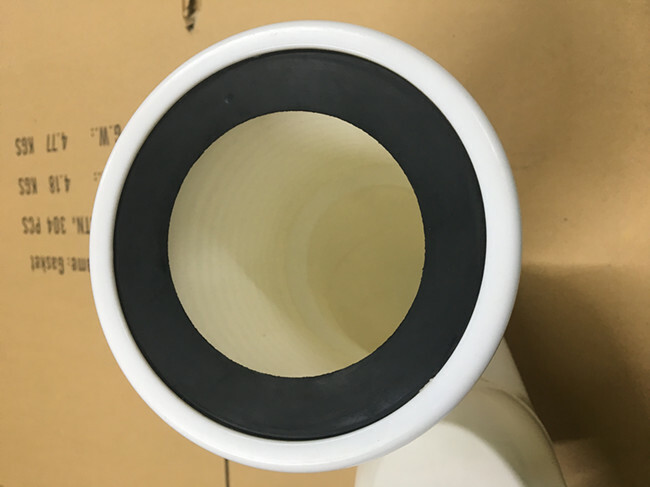 Industrial application: widely used in industrial area sewage discharge pipe. Road engineering: used as a railway, highway to tell the road of infiltration, drain pipe. Mine engineering: used as mine ventilation, air supply, drainage, mud tank. Gymnasium: used as a golf course, football field, square, etc. Terminal airport: used as a drainage pipe for major ports, wharfs and airport projects. Environmental protection: waste landfill sewage collection tube, waste water treatment plant. Water storage system: a water storage system used to intercept a slow flow of water. 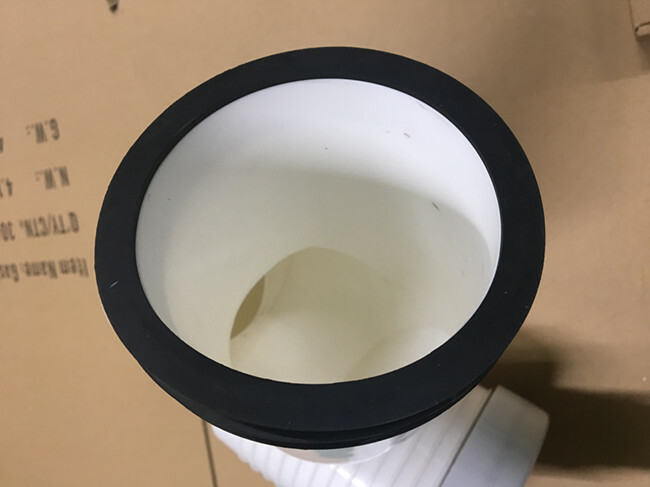 Good anti-leakage effect, can resist the erosion of a variety of chemical media;No scale in the pipe, basic need not dredge, buried service life for more than 50 years. 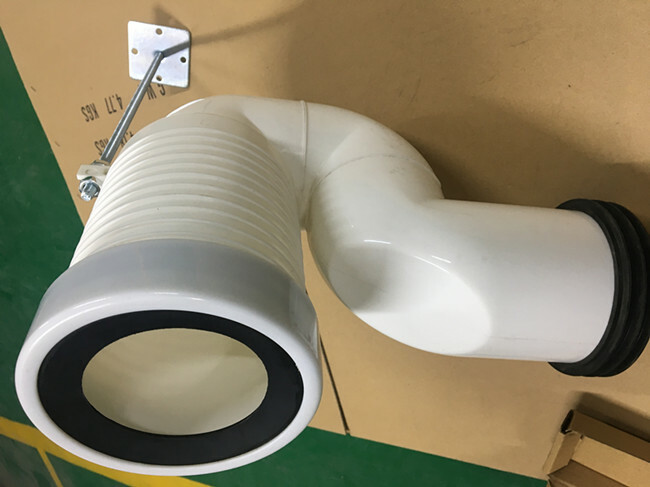 Name: Toilet PP welding blowdown pipe. 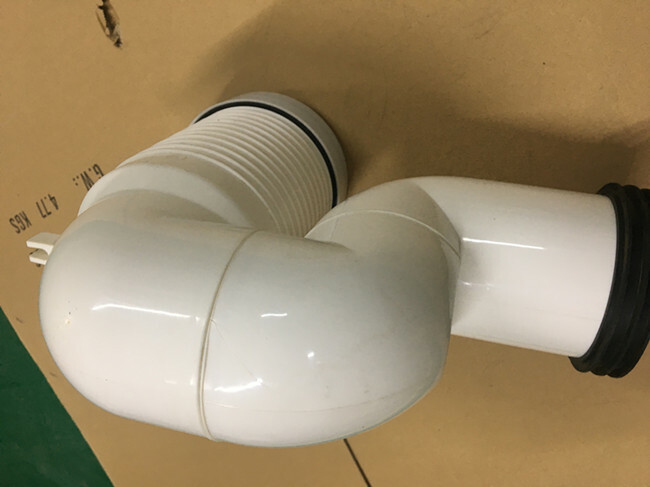 Toilet drain pipe installation -- discharge mode. The back row is also called the wall row or the horizontal row, according to the literal meaning can be known its discharge direction.In the back seat of the toilet, you should consider the height of the outlet center from the ground, which is generally 180mm.The bottom row is also called ground or vertical, as the name implies, refers to the toilet on the ground.In the lower flush type of toilet, you should pay attention to the distance from the center of the discharge outlet to the wall. 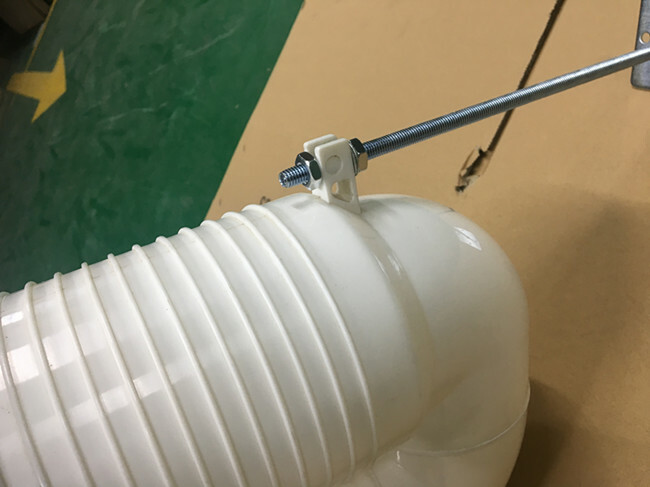 The distance between the discharge outlet and the wall is divided into 400mm,305mm and 200mm. 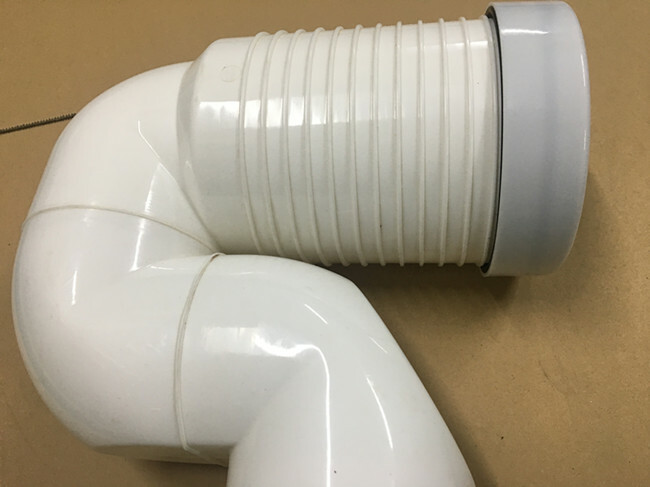 Installation of toilet drain pipe - installation method introduction. Observe the site to confirm the purchase of accessories and other additional tools. (duct tape is not very practical) prepare tools and materials.Prepare the scene, flush the toilet, cover the toilet, and place the old clothes on the toilet seat.It is very important to inform your users upstairs, and do not use toilet flushing during this period.Otherwise, when you're buried in the pipe, you're not.To remove the old pipe, remove the binding fixture on both sides first, and use pliers, which are usually twisted with wire.And then the tube is taken down, and the general plastic is old, it's not elastic, but it's brittle, it's just straight off.Processing interface edge, mainly is the interface, the aging rubber skin adhesion edge, forming thickness, not knocking out the new pipe can not enter.Then the two sides of the interface are smeared with vaseline.Otherwise, it has rust on it, and it is very difficult for the casing.Used clothes can be used to wipe hands.Casing, not to say, hard work, skill.Notice, first of all the fixed iron trap in the rubber hose mouth, otherwise, after the connection, will not be able to take.Basically a squat down on the toilet, clutching its very lewd posture.So it's necessary to have the old clothes on, or the toilet will be sore.Fix, pick up the pieces, and try the water. Function: The walls drain and drain. Specifications: Suitable for holes only 102 + 5mm.